It’s no great secret any more. Author Elana M. Freeland examines how chemtrails and ionospheric heaters like the High-frequency Active Auroral Research Project (HAARP) in Alaska and elsewhere services a full-spectrum dominance. This “Revolution in Military Affairs” needs an atmospheric medium to assure wireless access to the bodies and brains of anyone on Earth—from heat-seeking missiles to a form of mind control. How and why did these new technologies come about? The recent release of various NSA records have reminded us that “eyes in the sky” are tracking us as supercomputers record the phone calls, e-mails, internet posts, and even the brain frequencies of millions. Elana M. Freeland sifts through the confusion surrounding chemtrails-versus-contrails and how extreme weather is being “Geo-engineered” to enrich disaster capitalists and intimidate nations. A deconstruction of Bernard J. Eastlund’s HAARP patent points to other covert agendas, such as a global Smart Grid infrastructure that enables access to every body and brain on Earth, a future that erases lines between human and machine, and Nano-biological hybrids that infest and harm human bodies. It's real. It’s happening here. Medical Sciences Bldg. Lecture Hall 2158. Saturday April 18th 2015 7-10pm. Conspiracy Culture Bookstore and Bye Bye Blue Sky present. Peter Kirby, the author of “Chemtrails Exposed: A History of The New Manhattan Project” joins us to discuss his latest article on the subject. We talk about the history of weather modification and geoengineering back to ancient times, and document the advent of the modern era of chemtrails in the labs of G.E. in 1946. Don’t miss this jam-packed conversation on the “new Manhattan Project” and its implications. After so many years of watching airplanes produce the lines in the sky, largely without knowing of what this Project consists or why, we have recently gained an understanding. Evidence suggests that today's chemtrail spraying operations consist of airplanes saturating our atmosphere with nano-sized particles influenced by electromagnetic energy for the purpose of weather modification. U.S. patent #4,686,605 "Method and Apparatus for Altering a Region in the Earth's Atmosphere, Ionosphere and/or Magnetosphere" shows how stratospheric and tropospheric aerosols can be manipulated using electromagnetic energy in order to modify the weather. The ground-based antennas (known as ionospheric heaters) needed to produce the appropriate electromagnetic energy exist. For a detailed discussion, please see the author's previous article "Smoking Gun: The HAARP and Chemtrails Connection." The 1996 U.S. military document "Weather as a Force Multiplier: Owning the Weather in 2025" outlines a program using aerosols sprayed from airplanes which are then manipulated with electromagnetic energy in order to modify the weather. This document will be discussed shortly. The common thread here is weather modification; or as the Library of Congress calls it, "weather control." Lots of other evidence supporting this assertion exists as well, but these two documents are the most salient. Controlling Earth's weather would necessarily require a gigantic scientific effort. Oddly enough, when one looks for a National effort in weather modification, one finds a lot. Specifically, if one looks, one can find a history of weather control programs involving electromagnetic energy and atmospheric particles; all in a coherent chronological order. Welcome to the madhouse. Pull up a chair, have a drink, and go crazy. Those crazy chemtrail conspiracy theorists at NASA are at it again...Sometimes I just don't know what to think anymore. Maybe I will stop doing it. 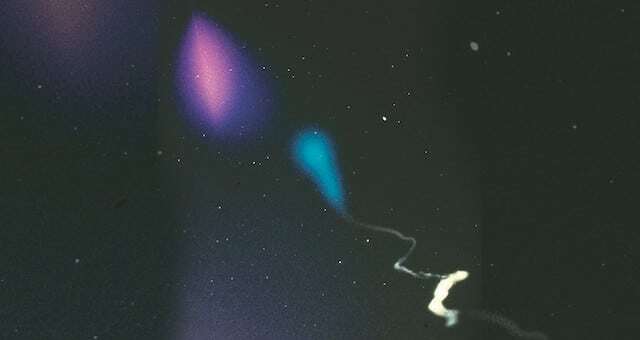 “During the test of the deployment system for the vapor clouds, four sub-payloads with mixtures of barium and strontium will be ejected from the main payload and the vapor will be deployed while the payload is descending. The test also will include the release of vapor from two systems on the main payload during the descent portion of the flight. The ejected sub-payloads will release the vapor at about 130 miles above the Earth. The main payload releases will occur at an altitude around 118 miles. Interesting enough, but during the test they released a number of vapor clouds into the atmosphere, releasing a mixture of chemicals that are well-known to those who are closely examining the growing problem of geoengineering and chemtrails. The skies over this area were alight in strange celestial clouds colorized by high-altitude discharges of barium and strontium. Barium and strontium, along with aluminum, are the 3 of the most commonly used chemical agents in atmospheric geongineering projects, which have been used by the US government in weather modification projects since the 1950’s. This recent experiment proves once again that NASA and the US governments do in fact use atmospheric spraying of toxic cheicals for various research and experimentation purposes, although who really knows what they’re up to? Recently other mysterious anomalies have been occurring in the skies around the planet including giant twin beams of light eminating from the earth. Additionally, a recent NASA feed of the ISS (International Space Station) was cut short when to massive pillars of light were seen, apparently directed toward the planet from the ISS. If you’re not convinced that the government and their corporate partners are dumping toxic chemicals on us from above and using the planet and its inhabitants as guinea pigs to experiment on, then take a look at some of the present research into the matter, including this Congressional statement by Dr. Rosalind Peterson. The mainstream media is dong everything it can to ridicule and discredit independent researchers like Dane Wigginton of GeongineeringWatch.org, who is publicly linking the California drought and the massive die-off of trees and plants to chemtrail and geoengineering programs. Behind the scenes, though, the government continues to spend our money on secretive projects and experimental technologies, and the health of our environment is degrading rapidly. I just noticed those video link are busted. This guy has evidently been poking around in all this pretty good. I already know what this is all about but he has some information I didn't know. I have not read it all yet so I don't know if he is correct about all his perspectives or not. He doesn't mention what this is really all about because I doubt he knows. But he has been running a lot of trails.